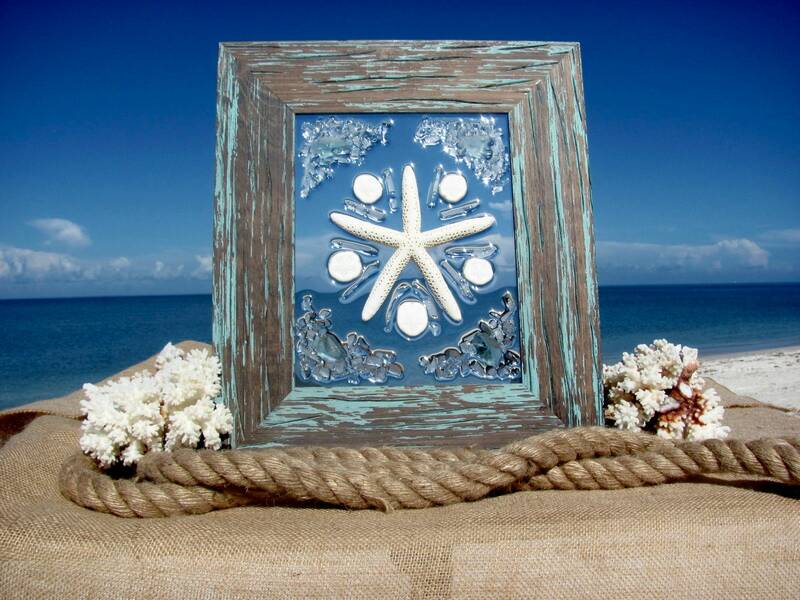 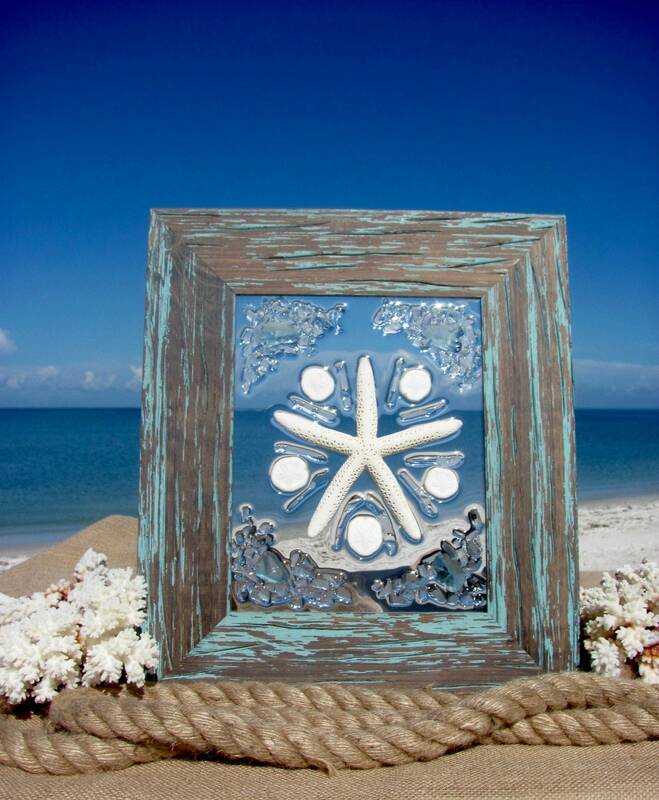 Starfish and beach glass Christmas cheer; perfect as a gift for your favorite beach lover! 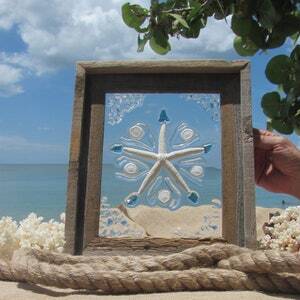 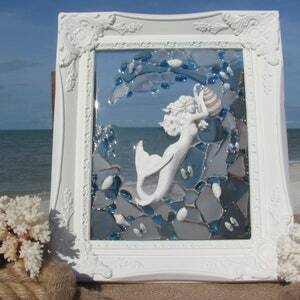 Four large pieces of beautiful seafoam beach glass at the corners, surround a single white starfish. 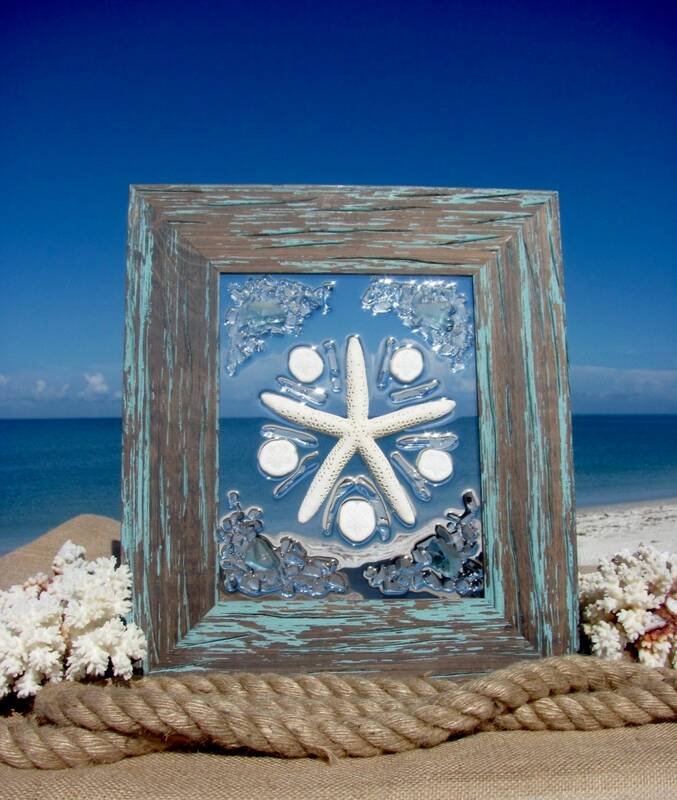 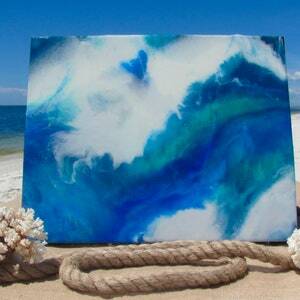 Embellished with sea biscuits and more clear beach glass, all fused (not glued) onto glass panel! 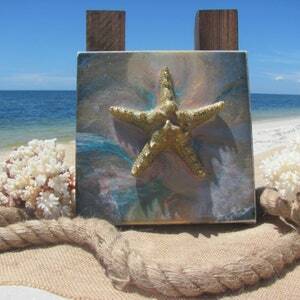 Packed and shipped with the greatest care.